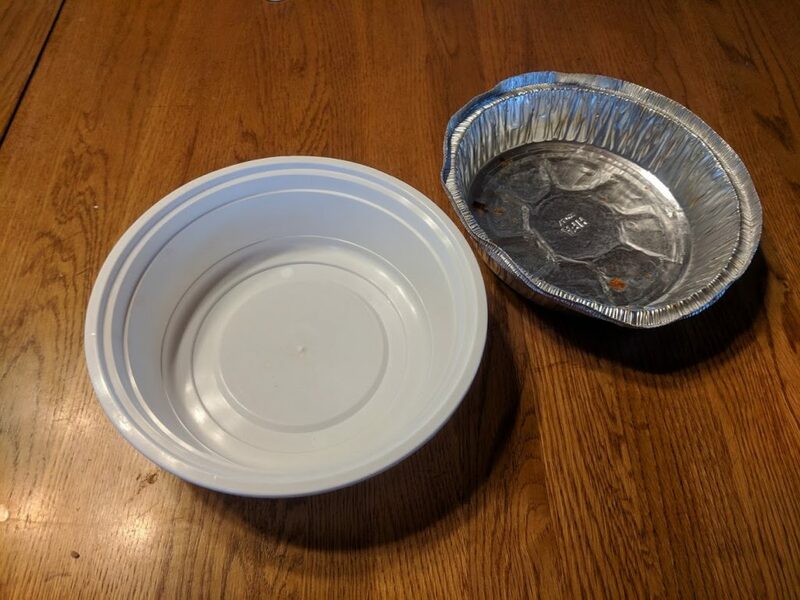 Container — we used old take-out containers! 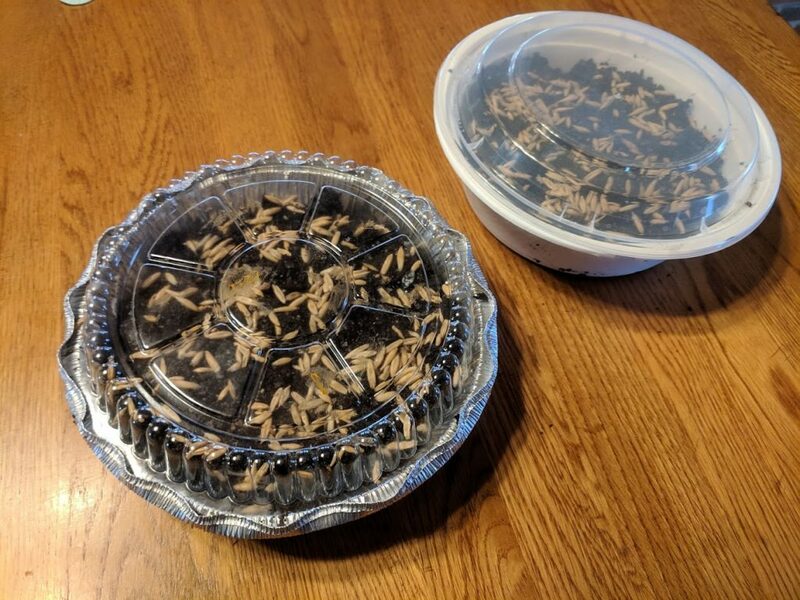 A tray or any shallow container will work just fine. Fill the container with potting soil so that the soil is approximately 1″ from the top. Tap it down lightly to level. 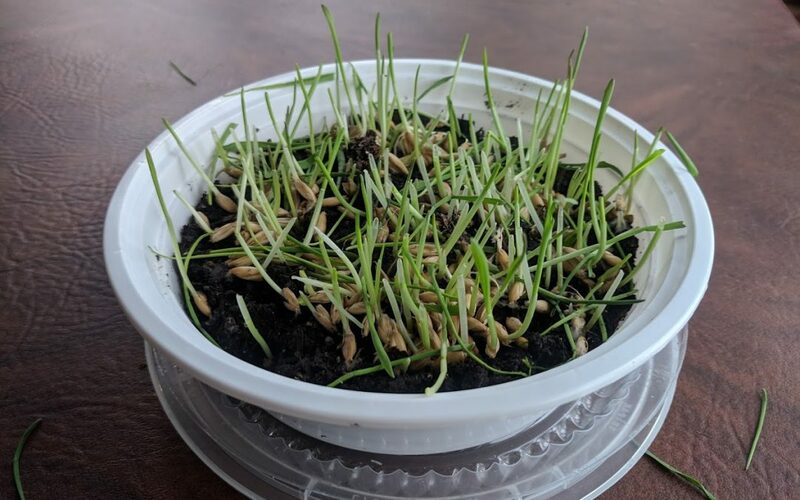 Sprinkle oats on the surface of the soil. Our package said 10 seeds per square inch and I think we were well over that amount. Lightly press into the soil. 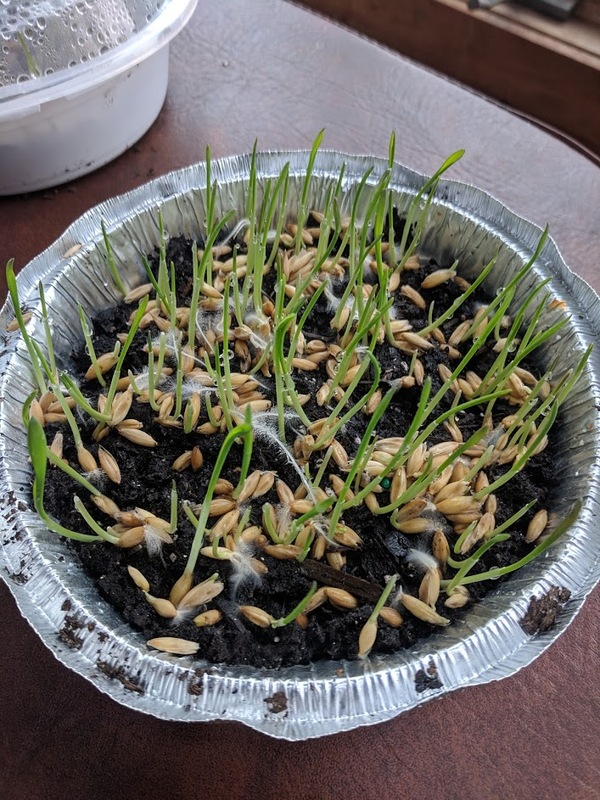 I decided to cover ours while the seeds germinated. Saran wrap would be perfect for this! 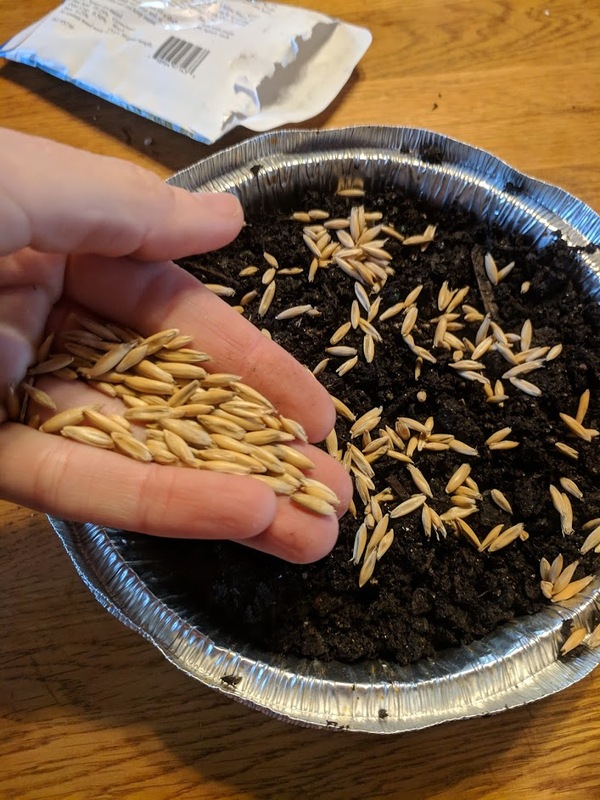 Adding a cover will help keep the soil moist and a little warmer while seeds are germinating. 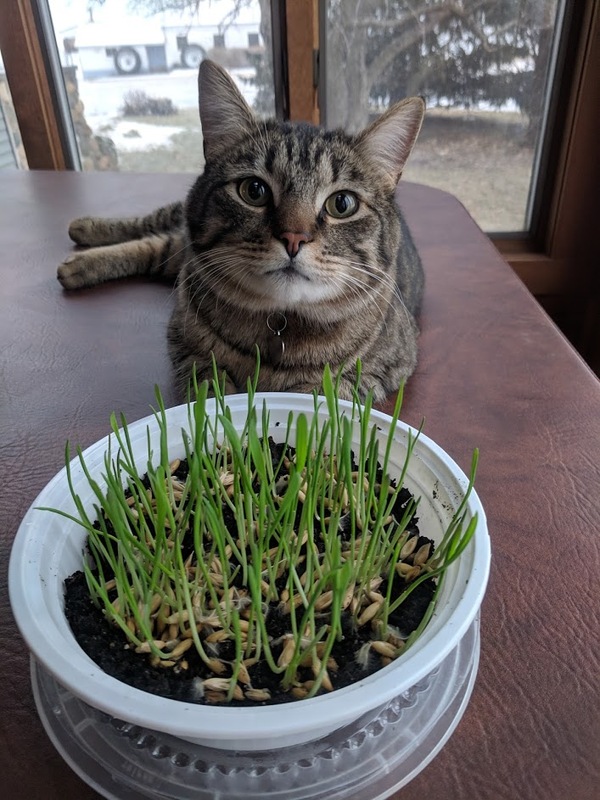 7-10 days later you should be ready to serve your cat a nice container of oat grass! I was a little worried that our cat “wouldn’t know what to do” with this, but that was not the problem at all! He went right for it! Trying to photograph cats in action is much harder than photographing plants! 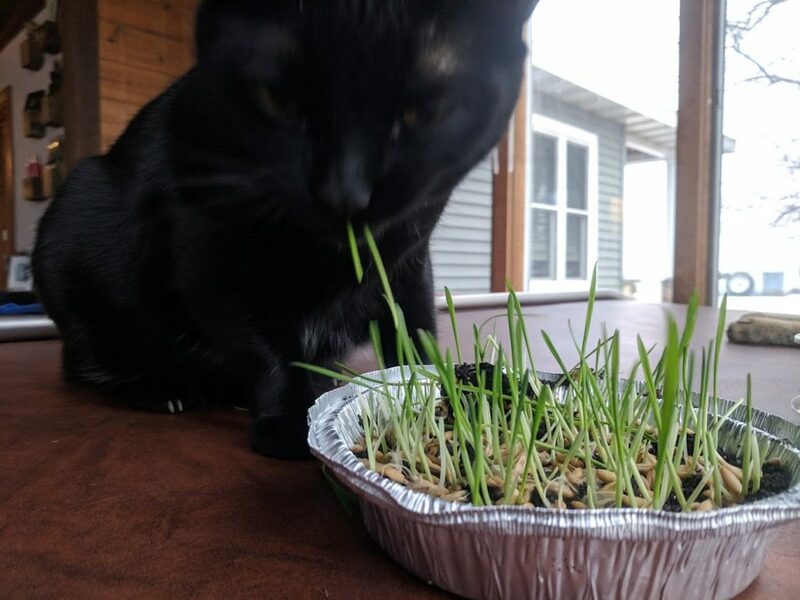 Learning how to grow oats for cats is easy and fun– and the perfect winter project!